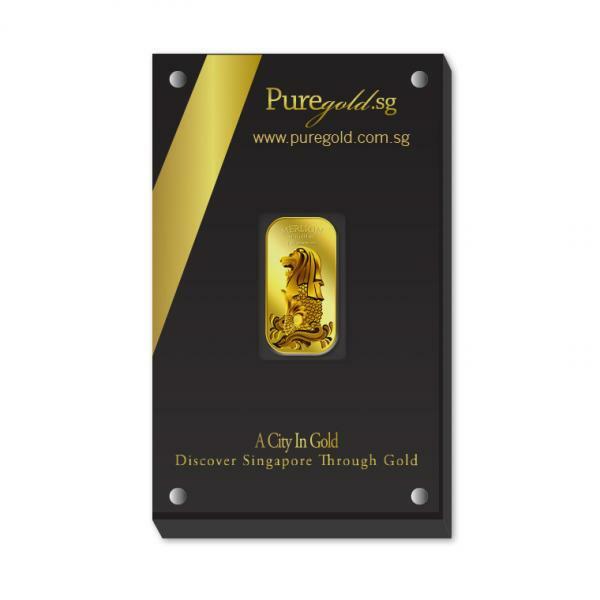 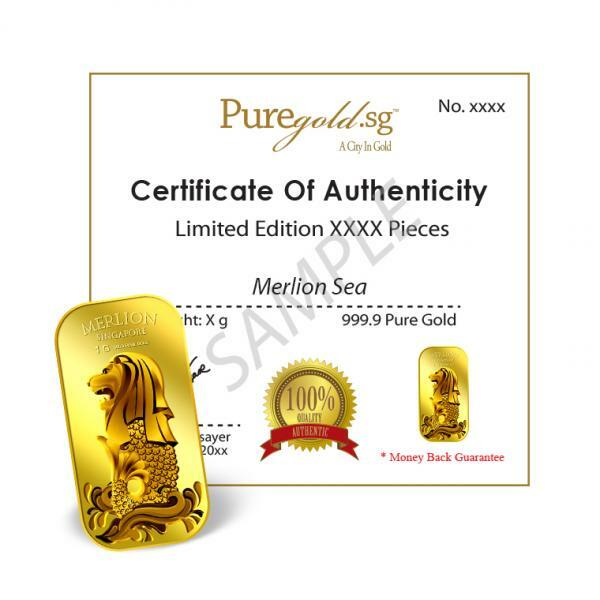 The image of the Singapore Merlion is embossed on a 1g 999.9 fine gold bar. 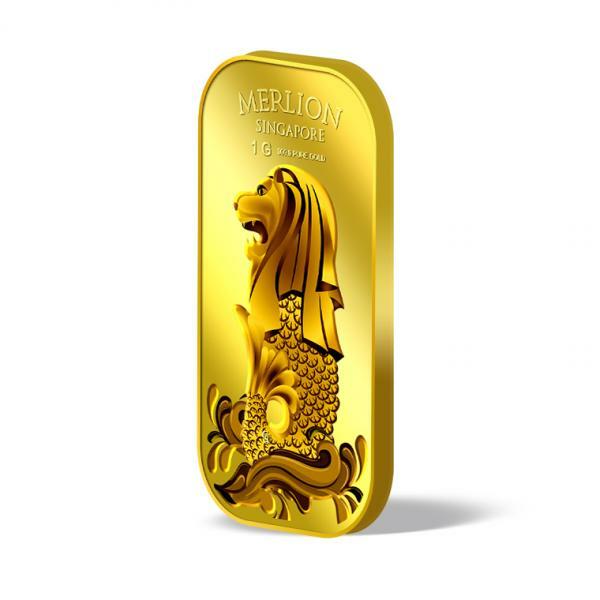 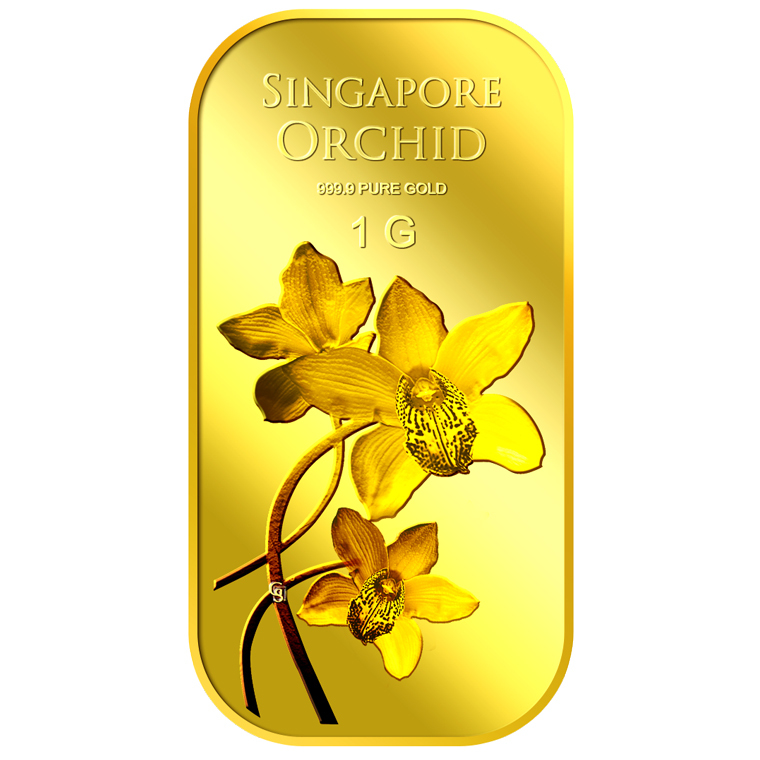 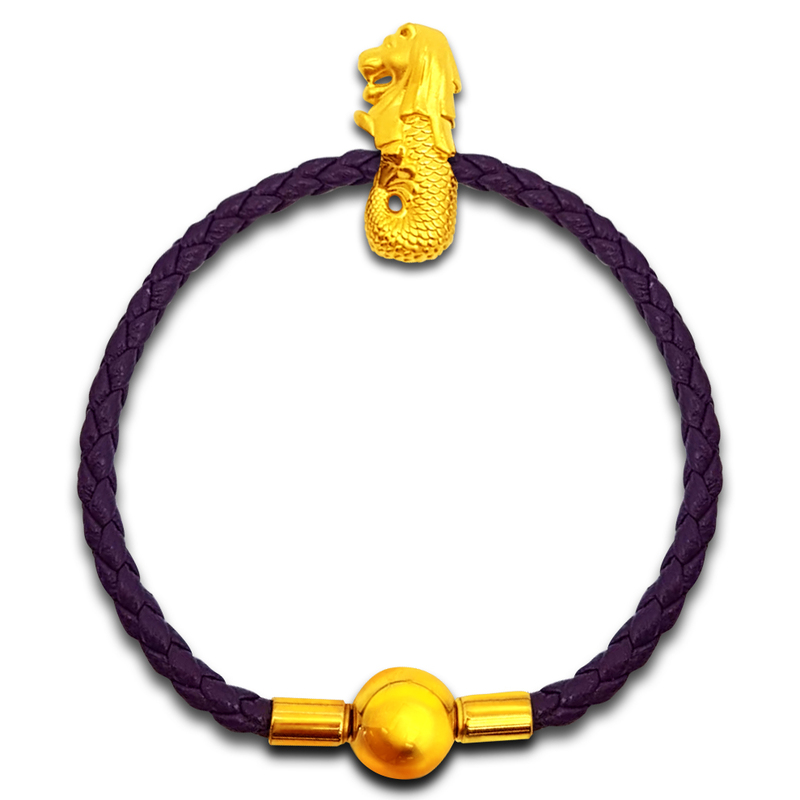 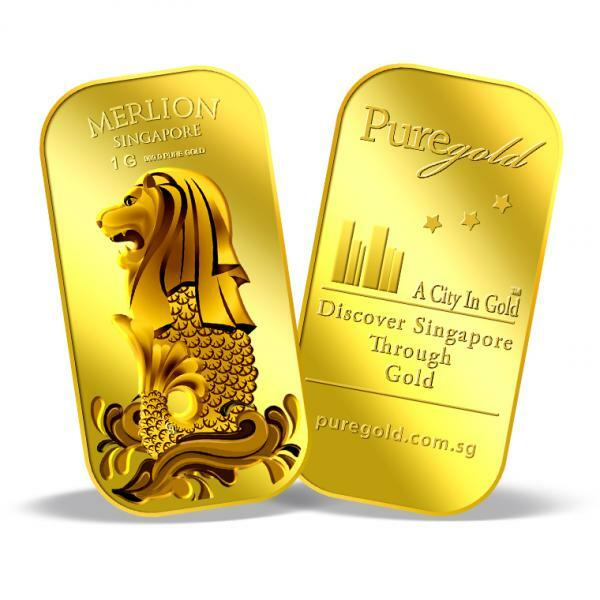 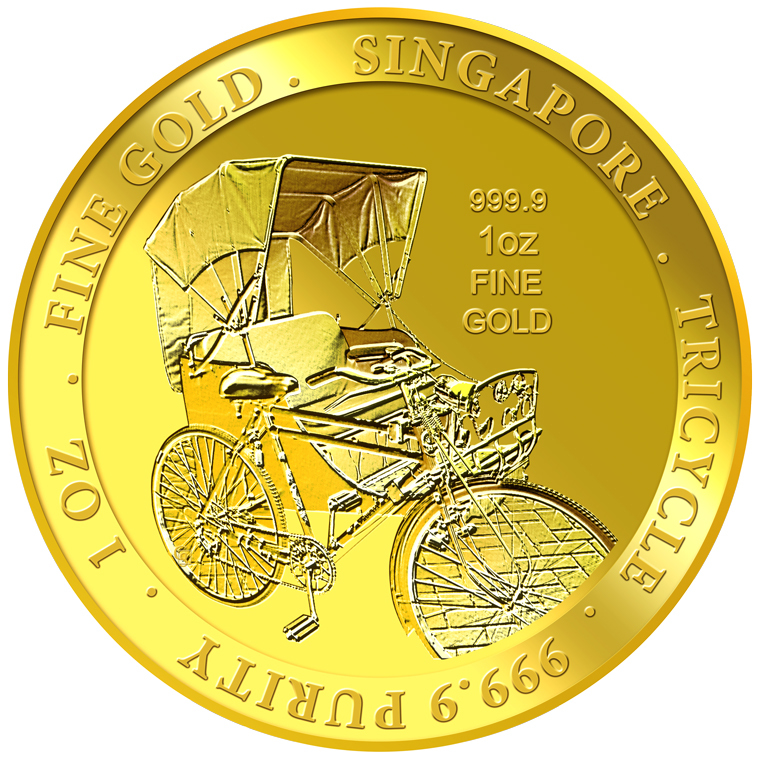 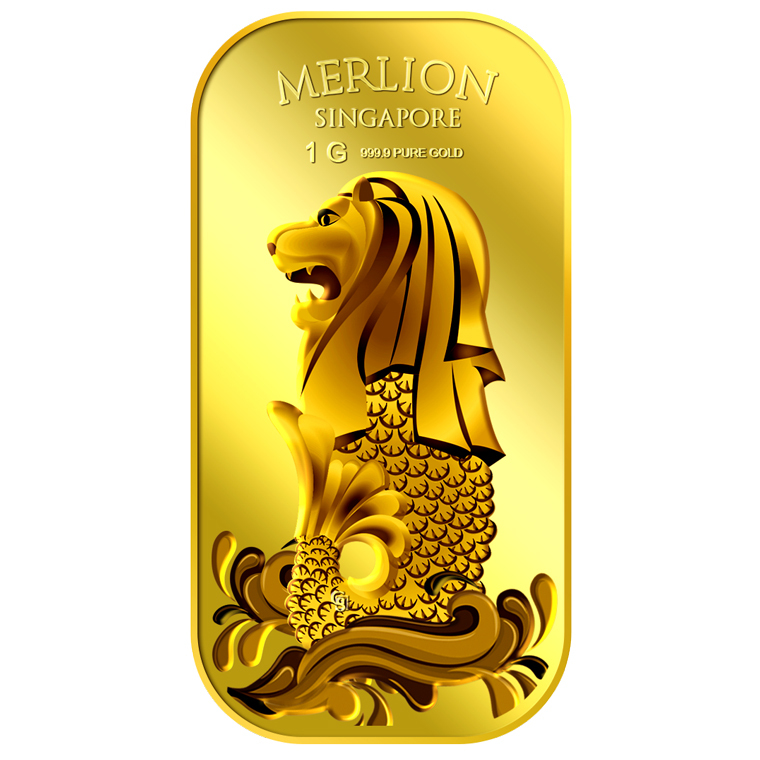 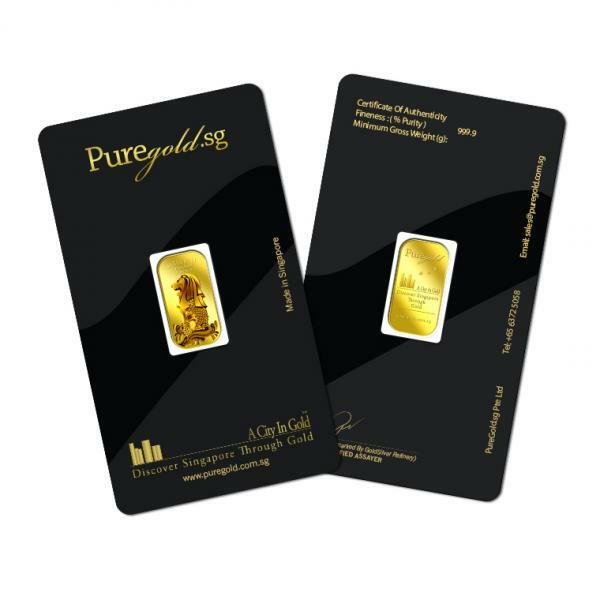 The 1g Merlion gold bar design portrays an image of a merlion. 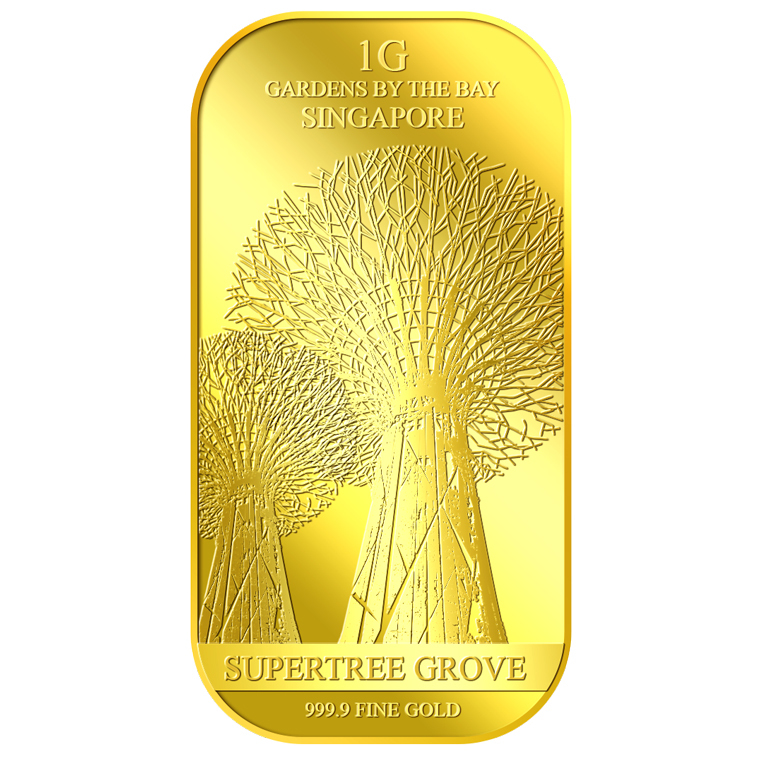 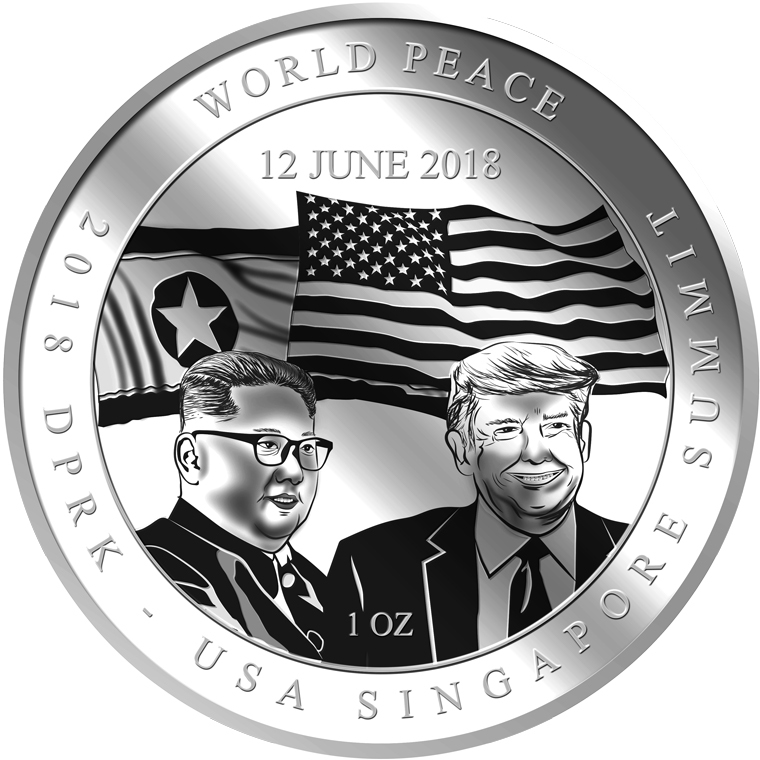 The design also includes the inscription MERLION, SINGAPORE, the medallion’s weight and fineness, and GoldSilver Refinery’s “GS” logo mark.